Time to run catch up on some galleries that got interrupted by the SDCC chaos! 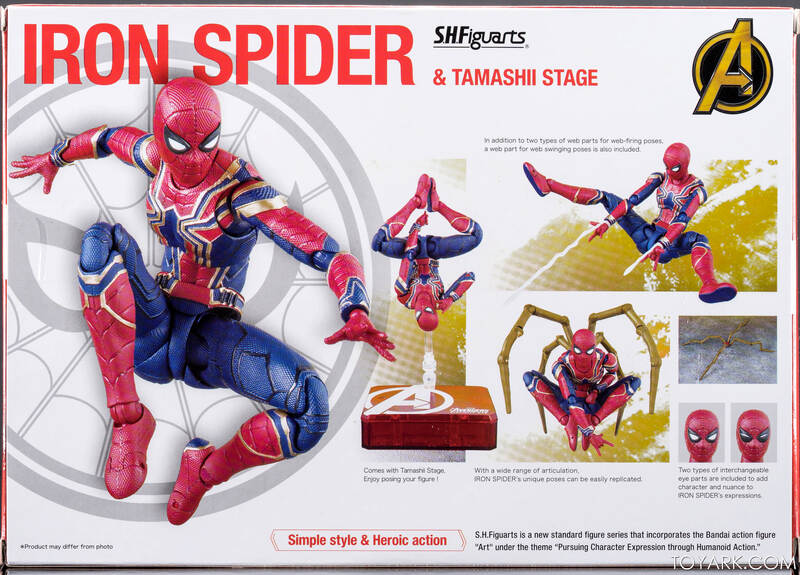 Right before we left Tamashii Nation’s S.H. 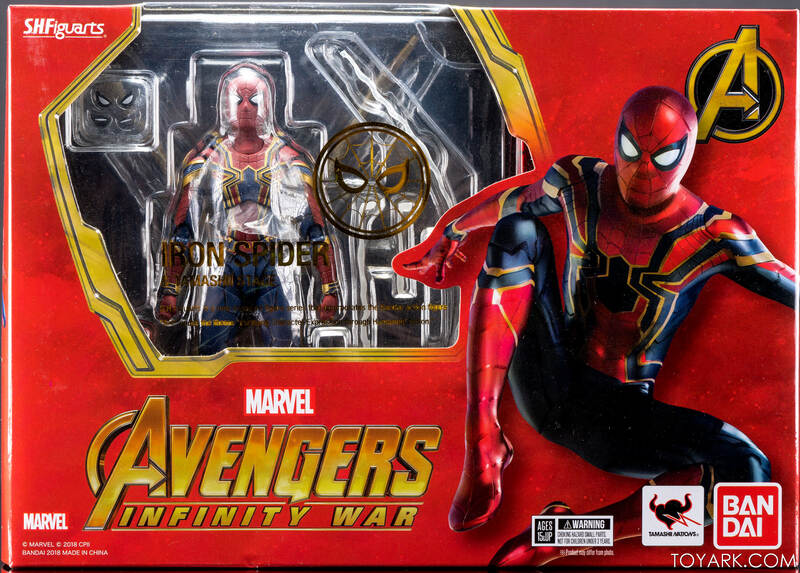 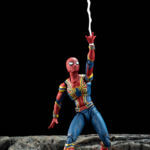 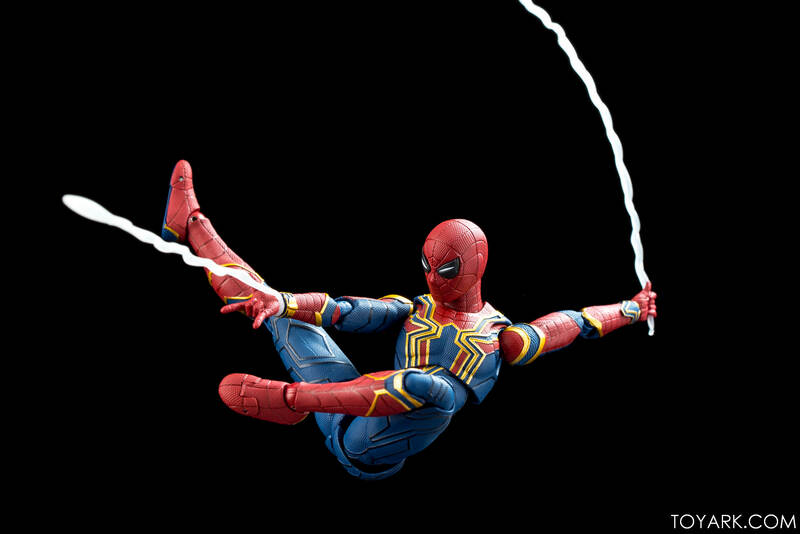 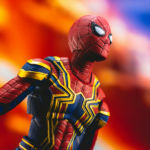 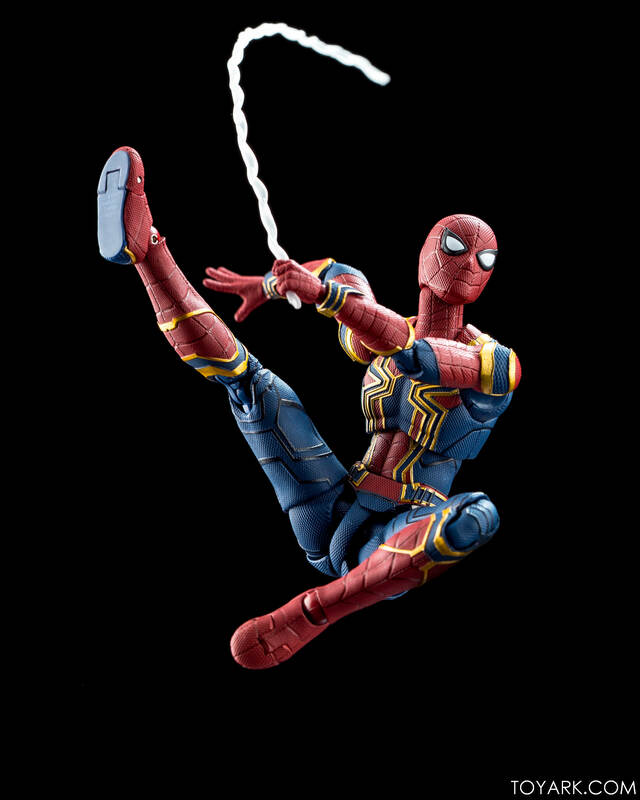 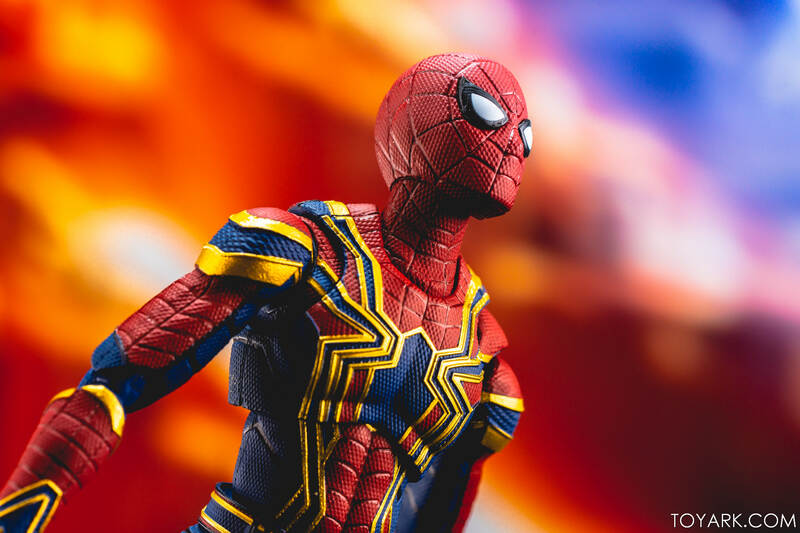 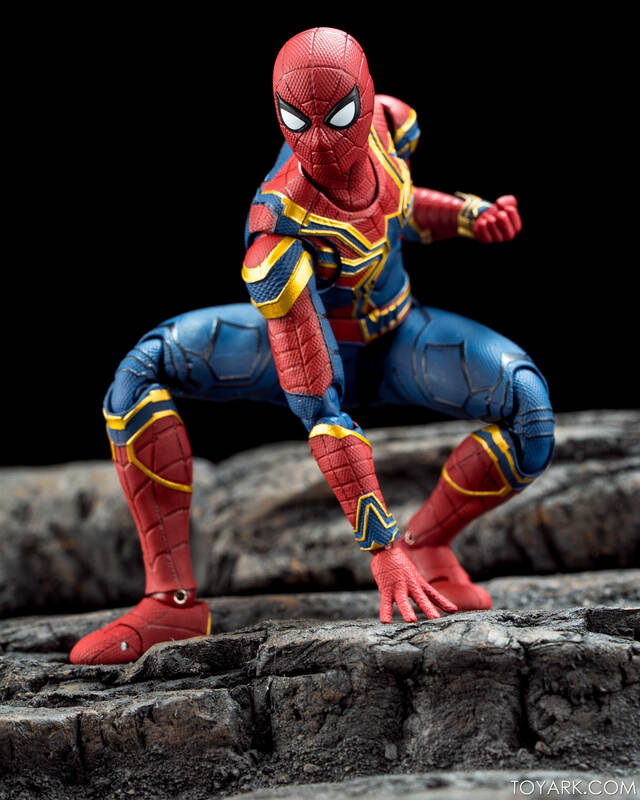 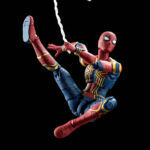 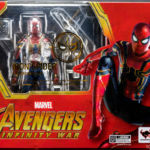 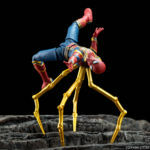 Figuarts Marvel Infinity War Iron Spider came in. 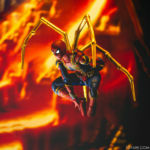 We actually did up some hero shots for it which wound up getting featured at the Tamashii Booth in San Diego. 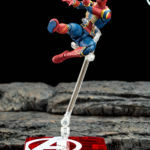 Today though we are going to finish the set up so we have a more complete look. 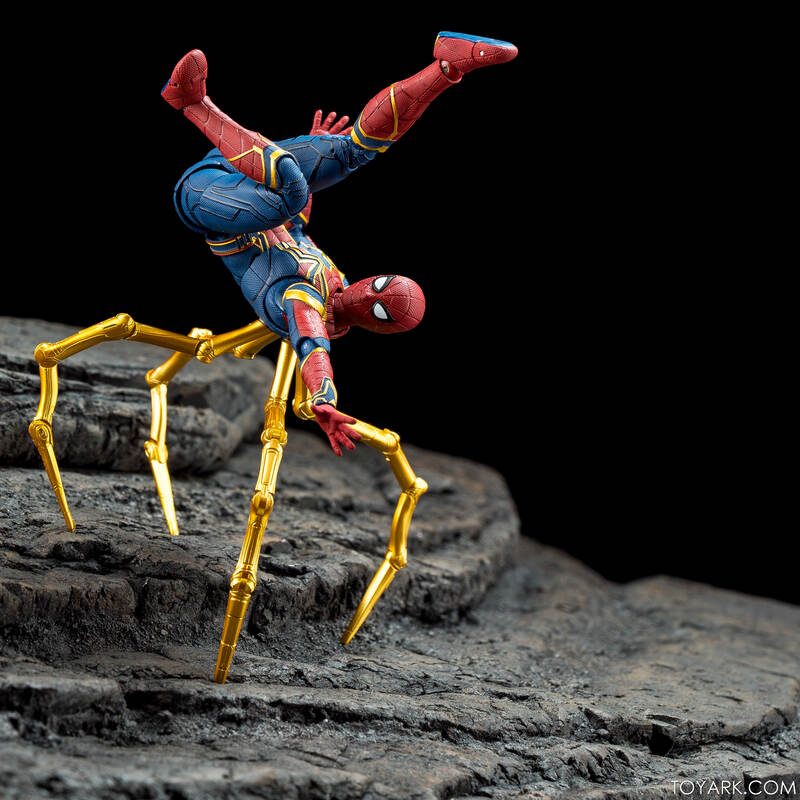 Spidey comes with a sharp matte paint job coupled with metallic sheen gold paint throughout and on the extra legs. 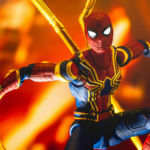 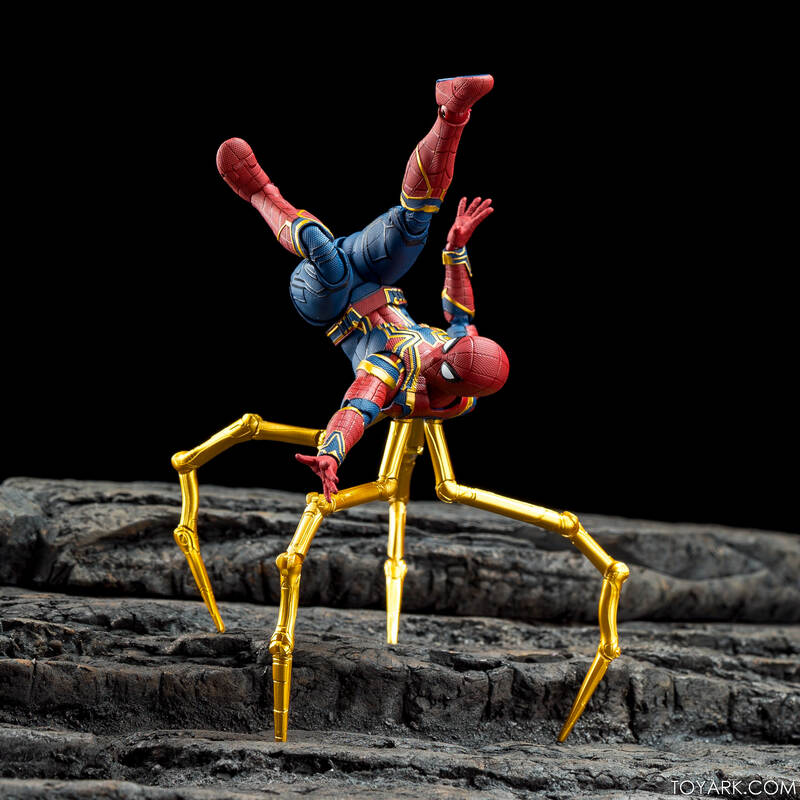 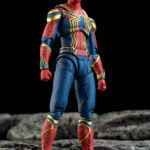 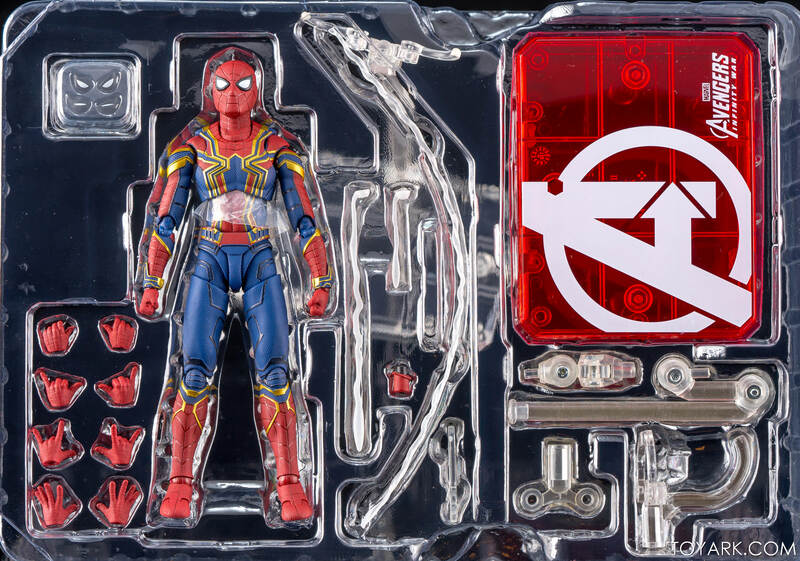 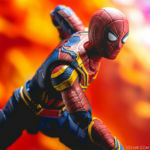 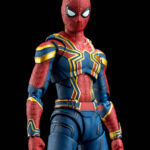 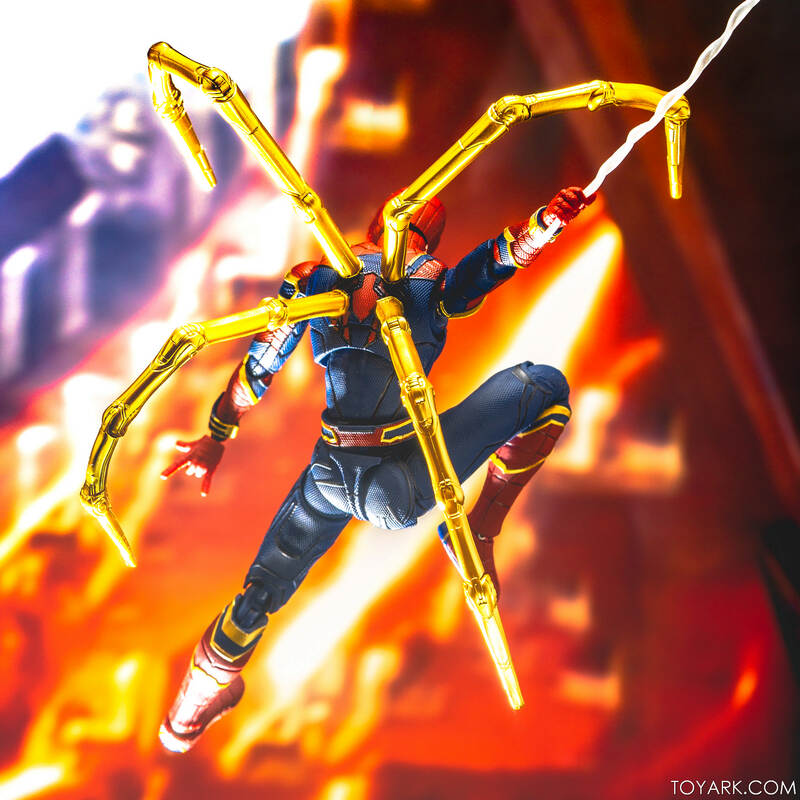 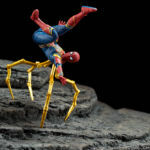 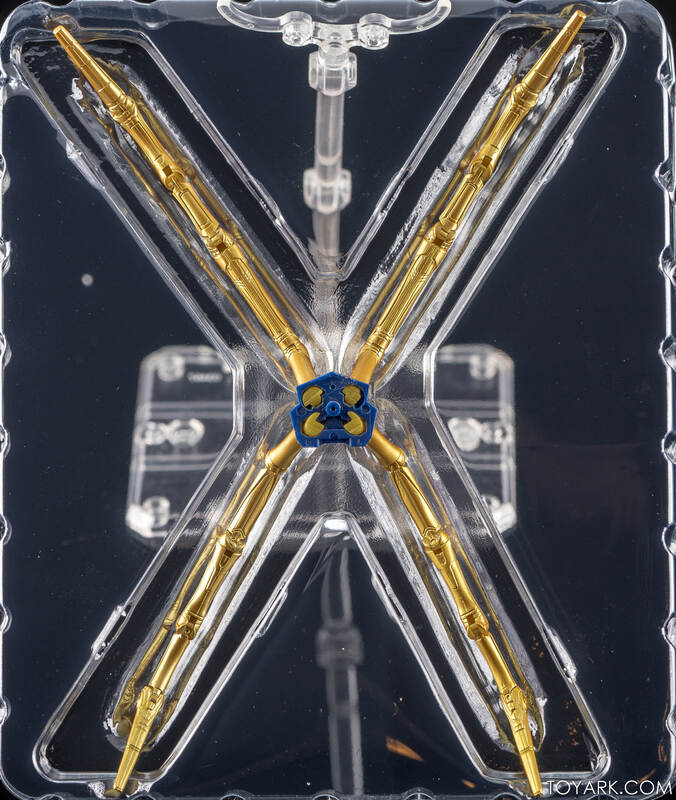 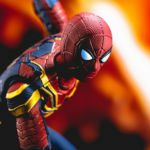 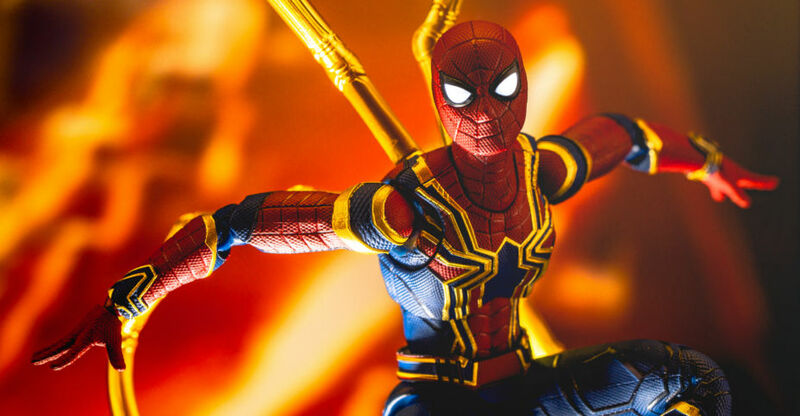 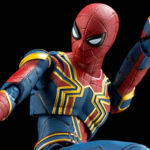 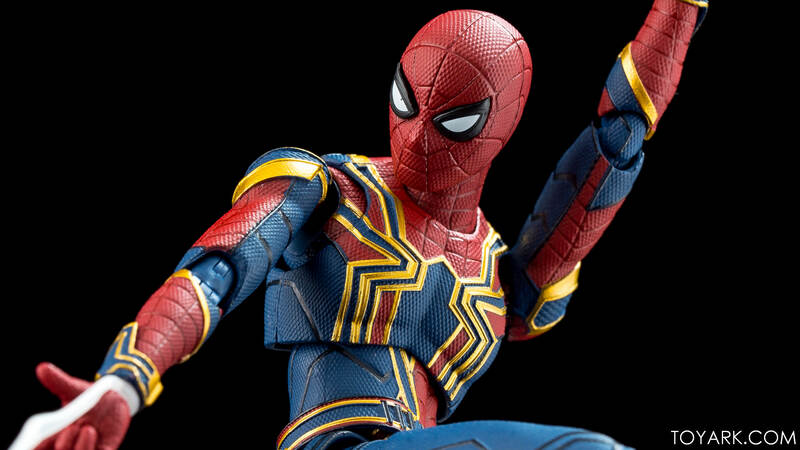 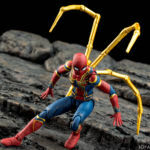 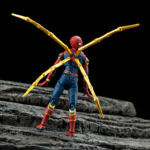 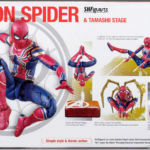 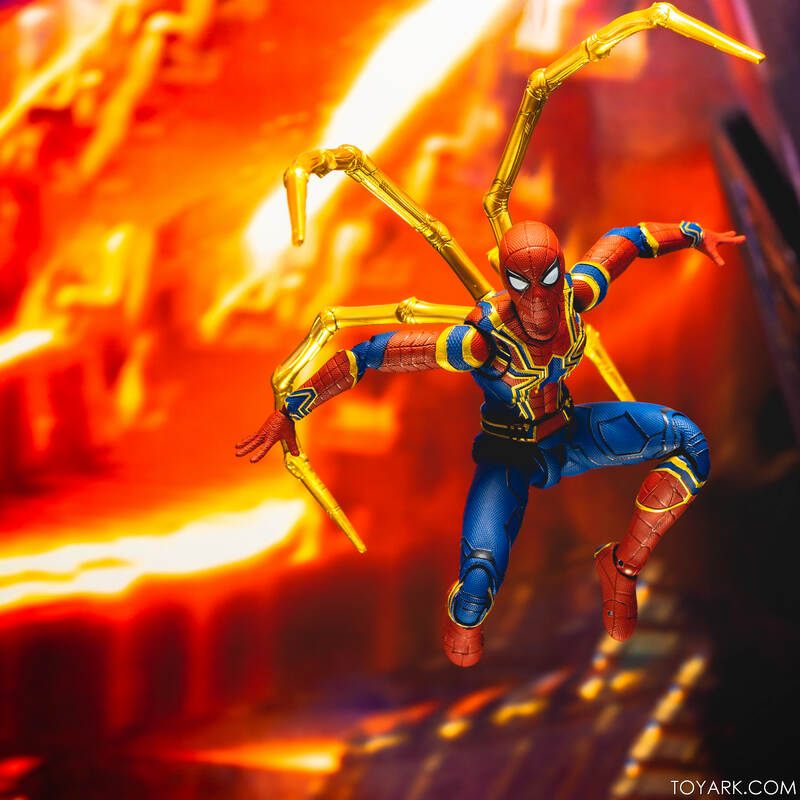 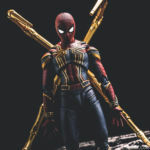 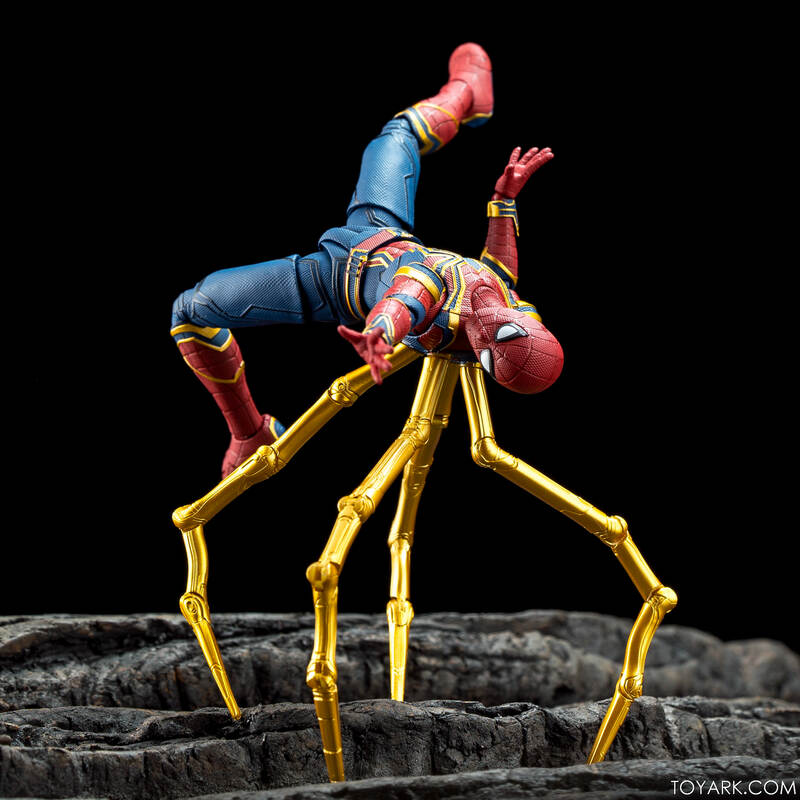 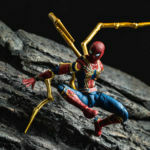 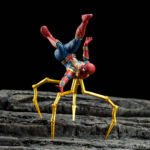 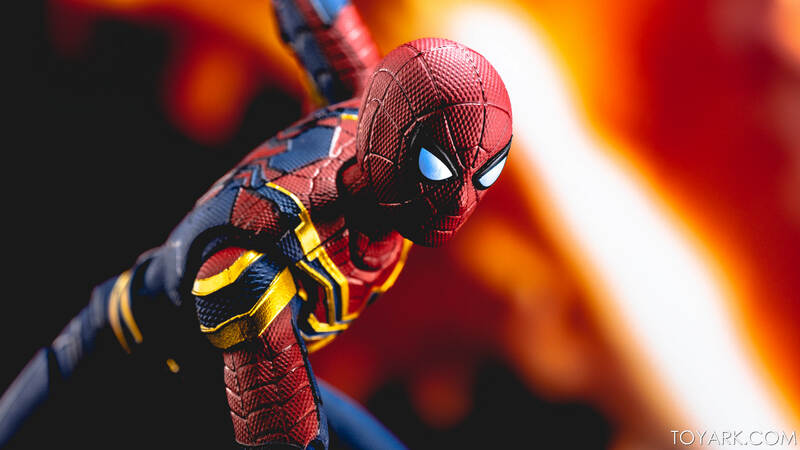 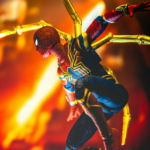 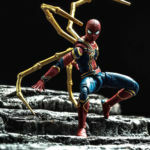 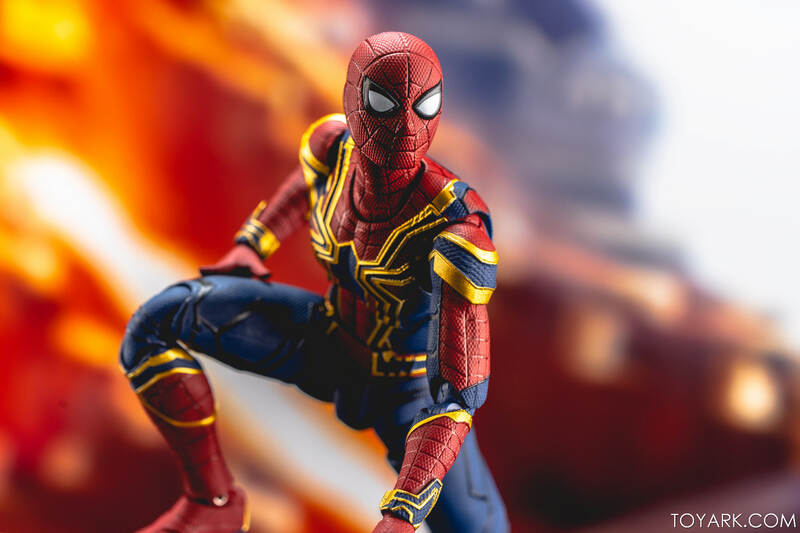 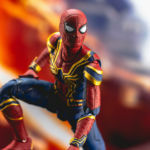 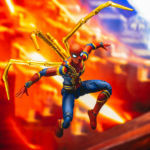 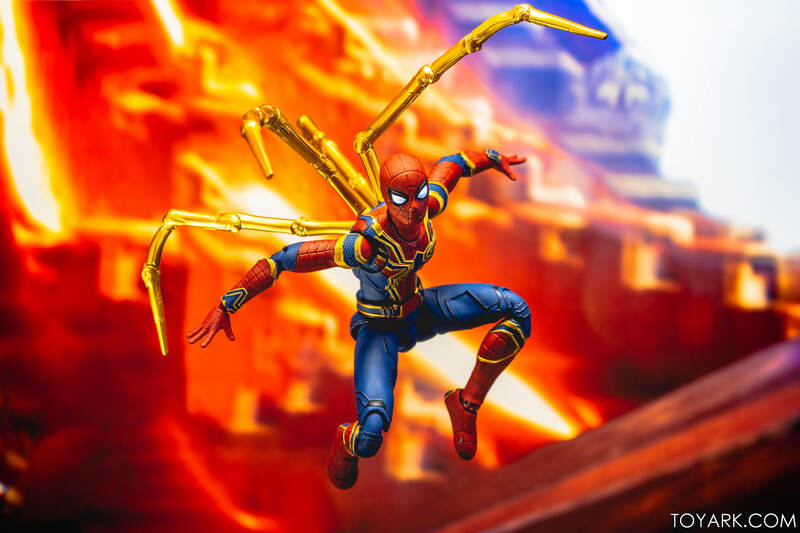 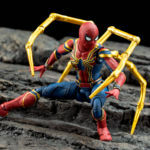 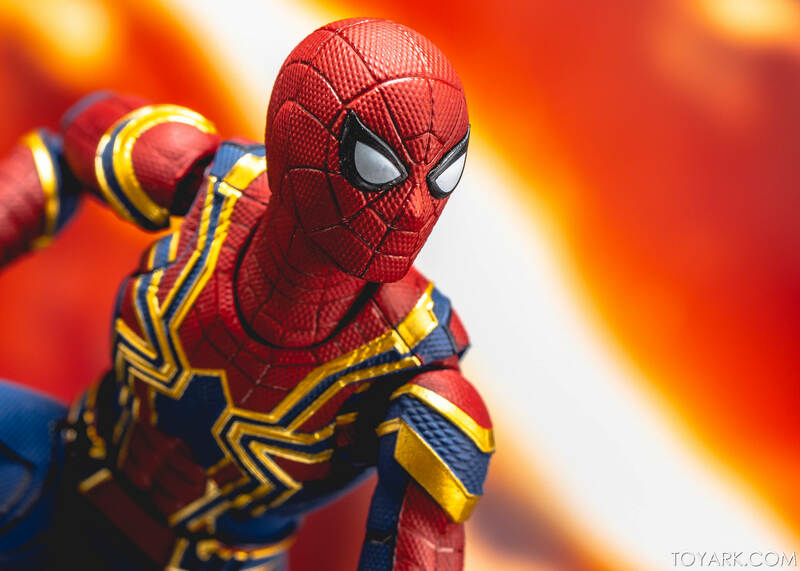 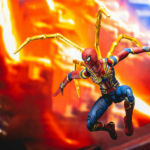 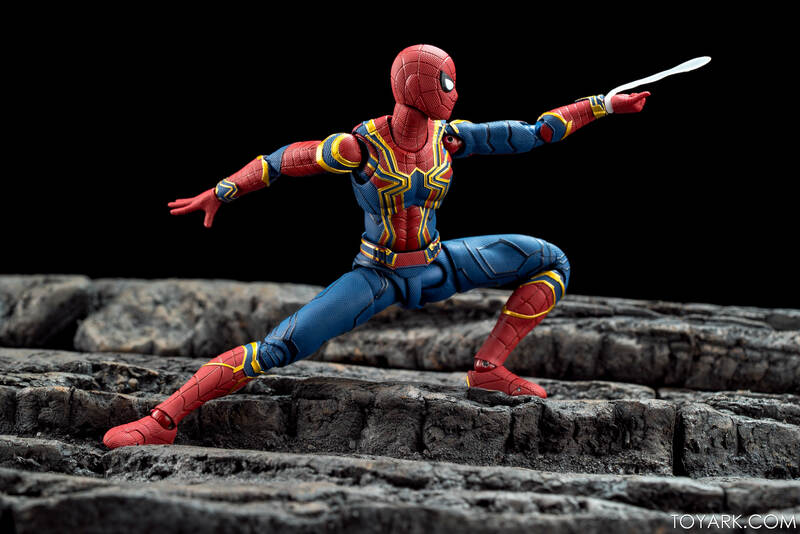 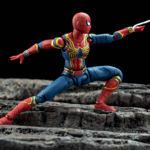 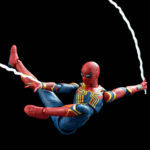 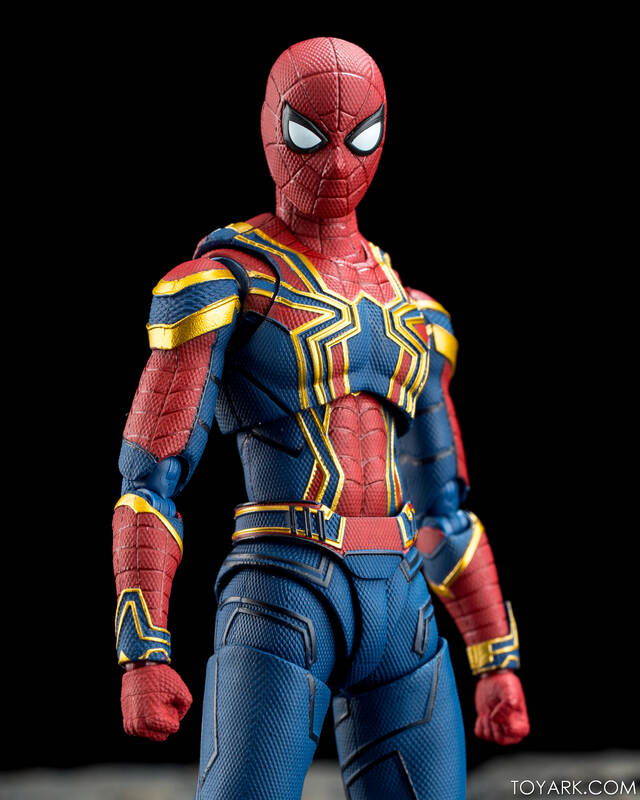 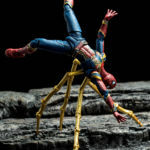 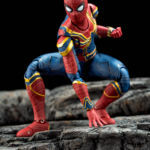 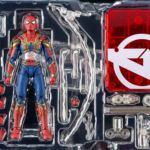 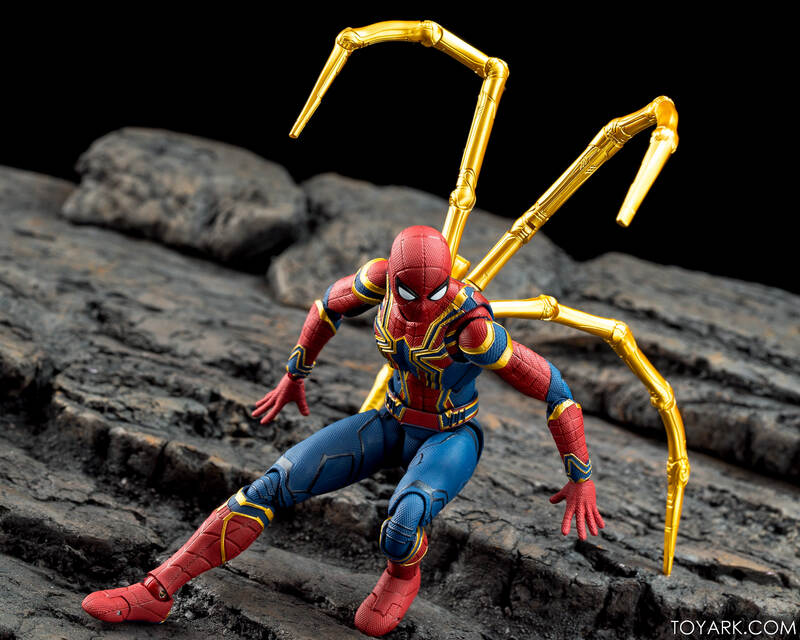 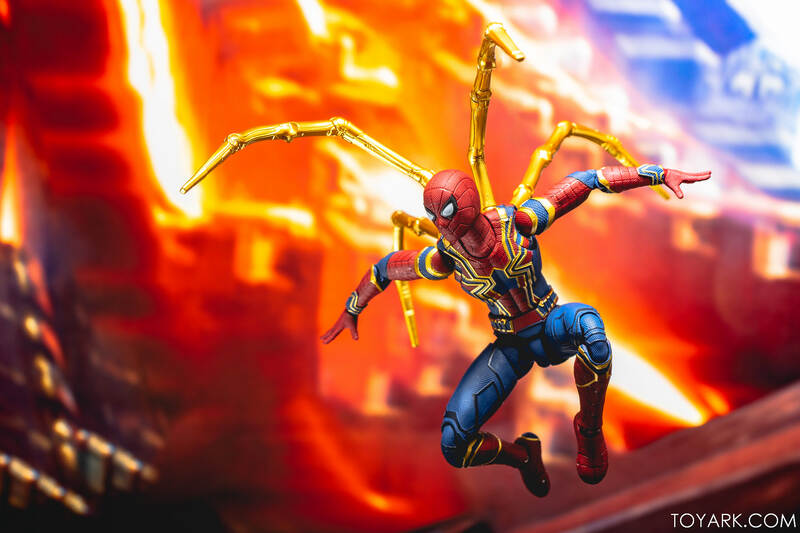 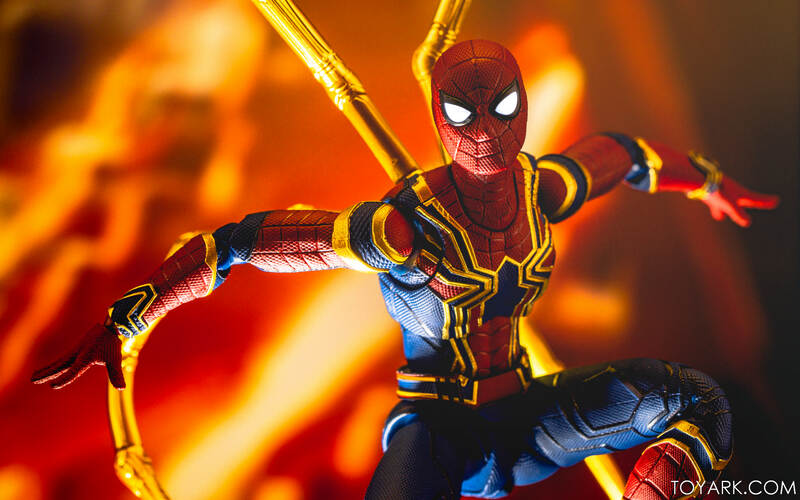 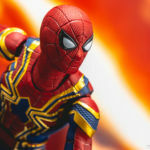 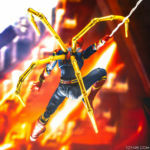 His accessories include 3 sets of eyes, 5 sets of hands, 3 different webs, a red Avengers Tamashii stand and the Iron Spider legs which attach to the back. 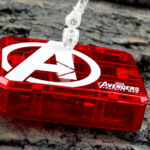 All in all it’s a sharp piece. 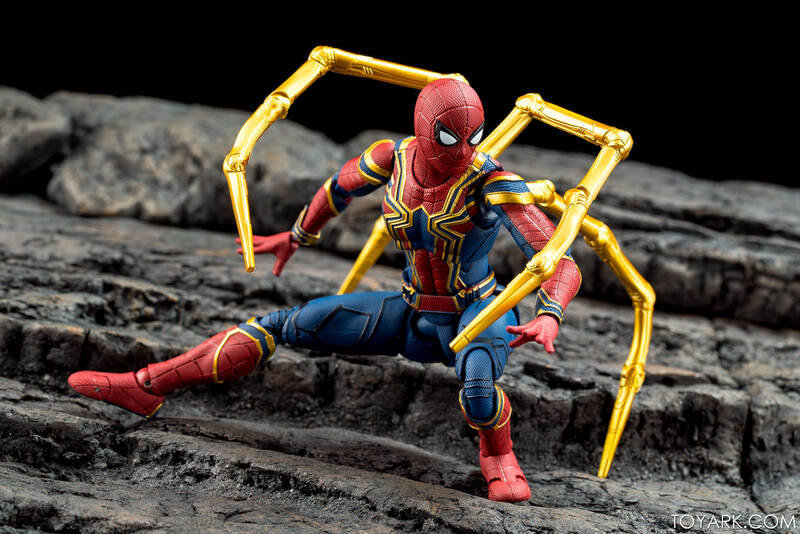 The only downside is that the figure could have used a metallic paint job head to toe instead of just the gold accents, since the suit was meched out in the movie. 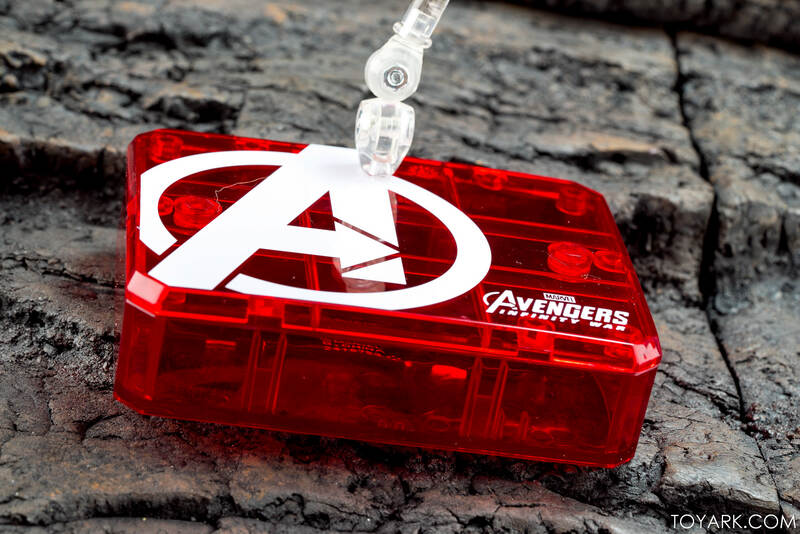 That could have looked cheesy if not done just right though, so catch 22. 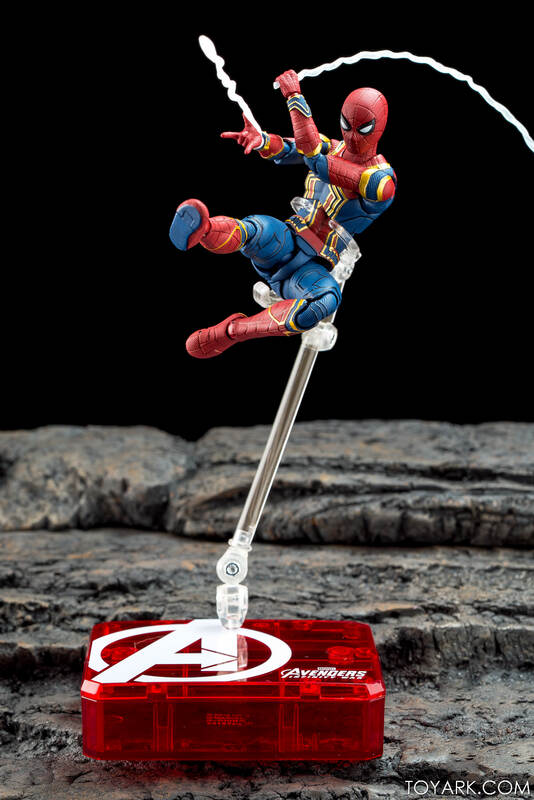 Until I see one done that way in hand, I’m content with this guy for sure. 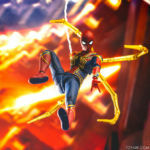 Read on to check out our pics, including the shot featured at SDCC and the ones done in the same session! 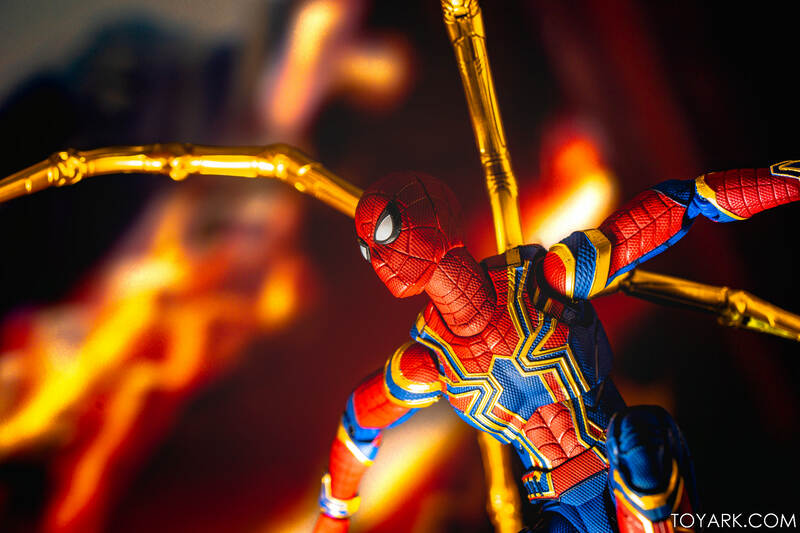 This is the shot chosen. 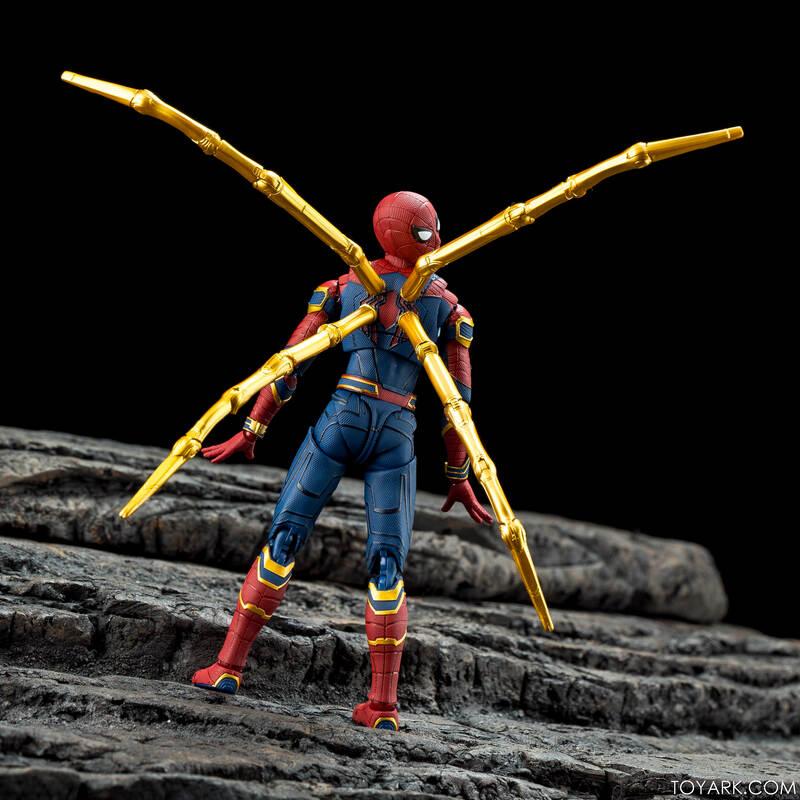 It still bugs me because right before I snapped, I moved the iron arm. 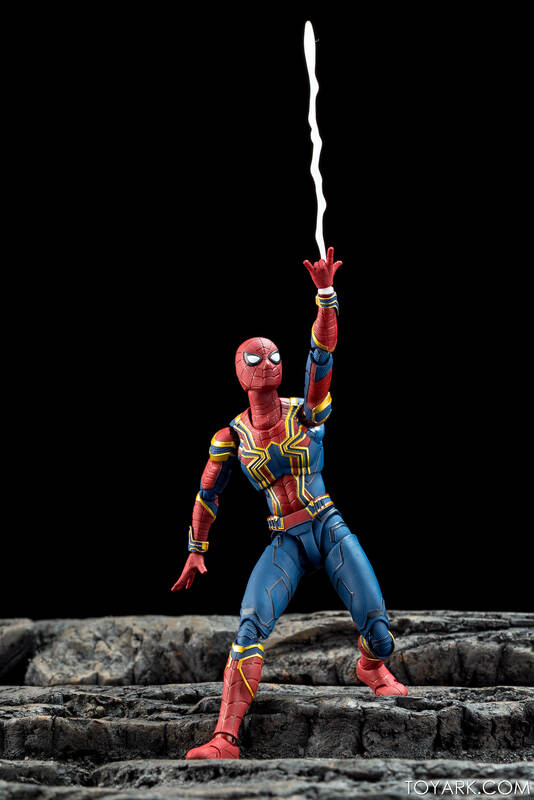 It shouldn't be straight there. 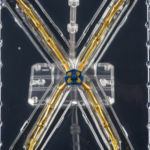 Shots before and after have the curve. 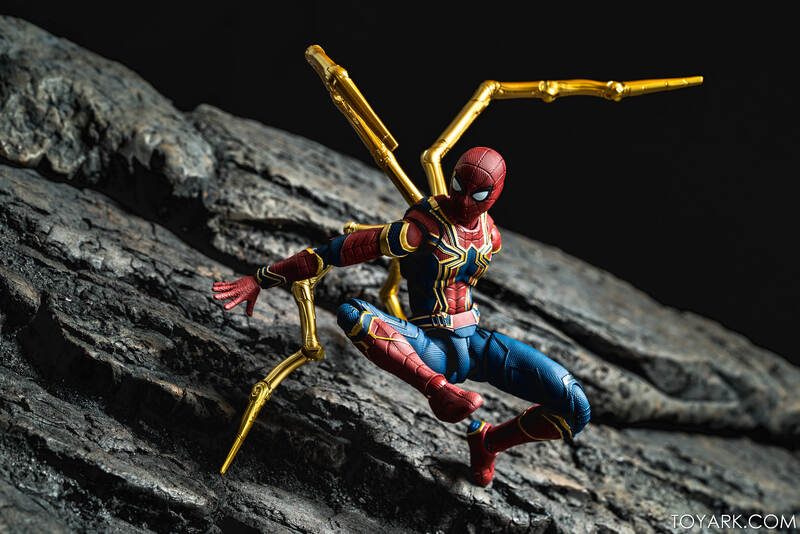 He was hanging on a fishing line and spinning around, so getting him to be still and in the right pose was like whack a mole. 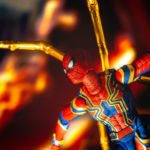 Tony, again congrats on having your awesome pics included and on display for everyone to see. 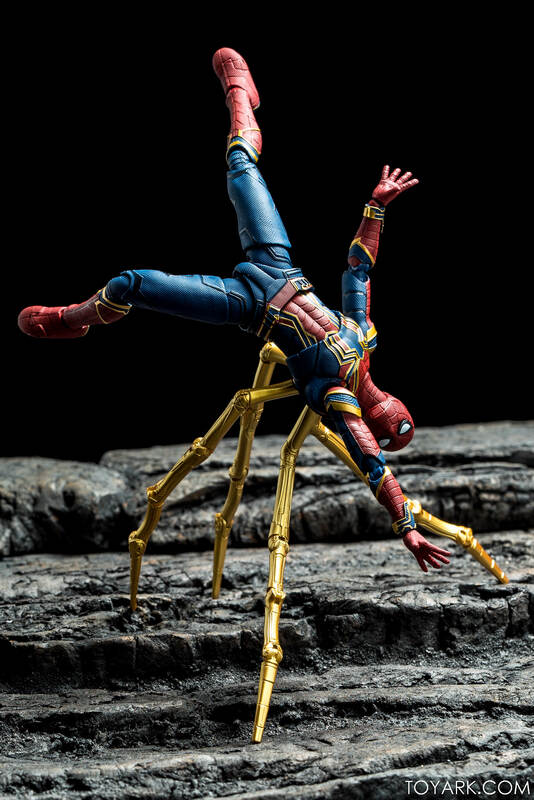 You're nitpicking yourself, I didn't see what you saw with the posing of the iron legs until you pointed it out, never the less it's a fantastic picture. 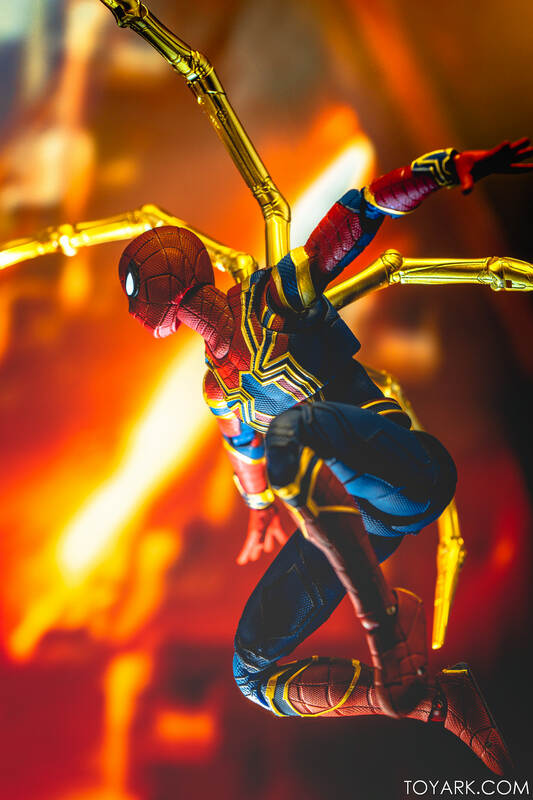 I always looks forward to your shots even if its for figures I know I won't be getting. 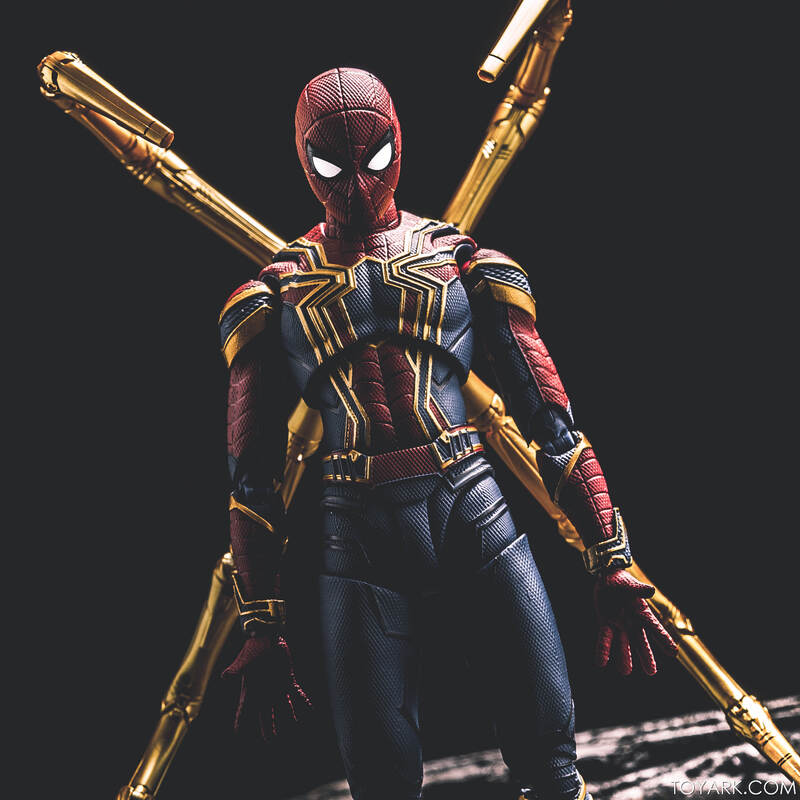 Thanks man, i appreciate it. 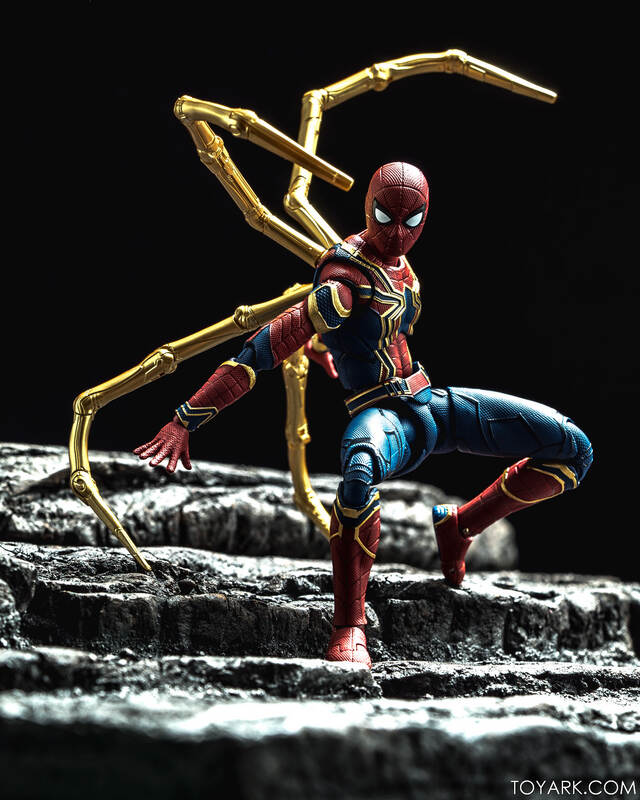 I know I nitpick but I can't help it. 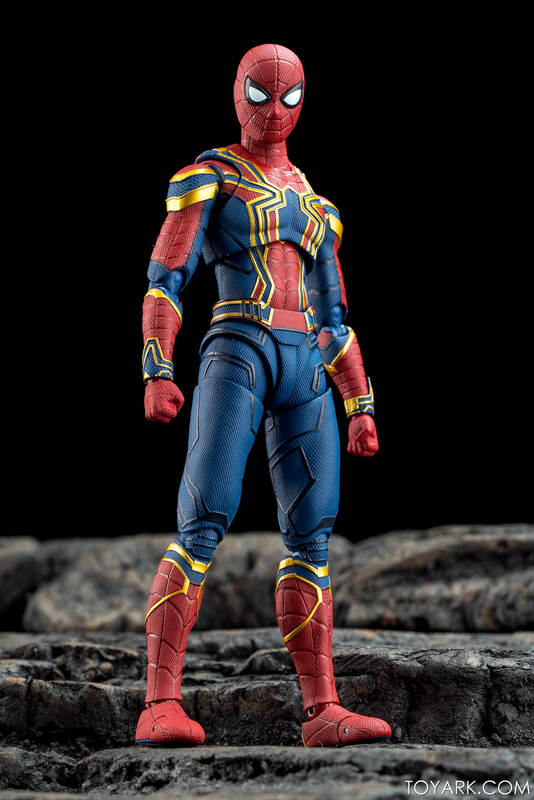 I've been leaning toward the Mafex versions lately. 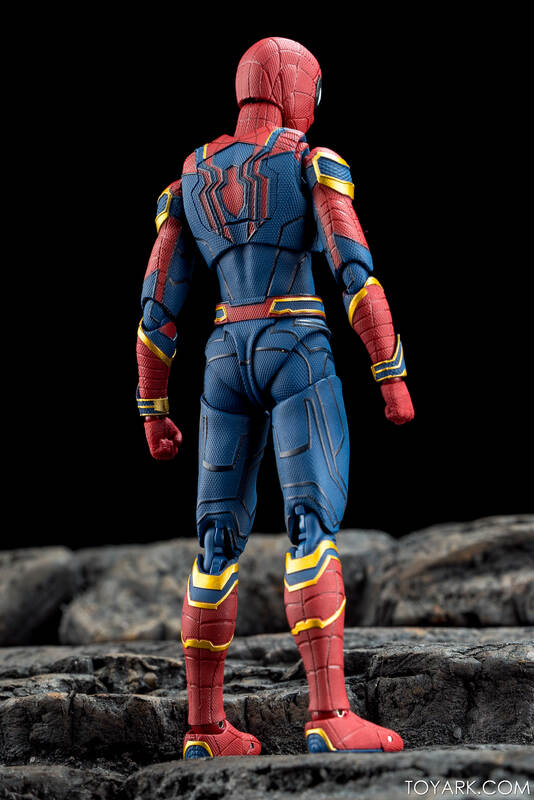 They seem to be more accurately detailed and with the right coloring. 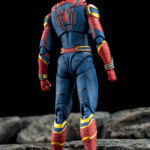 Figuarts always seem slightly off in color, detail and proportions.